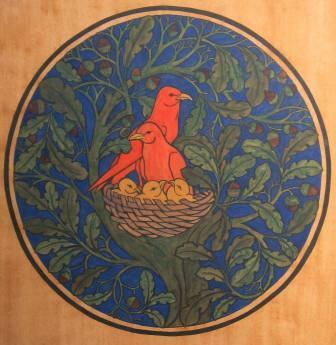 This is a hand painted watercolour copy of a lovely Voysey poster he designed, showing birds in the nest, protecting their young, with the motto "There's no place like home". The obvious thing would have been to have an oak frame around this, but as the background is an oak colour we wanted more of a contrast & to add a splash of wall colour to a room. 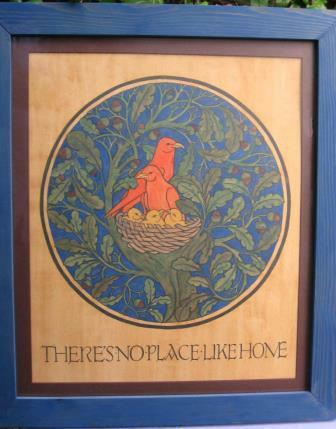 It is framed with a blue 'washed' frame (blue matches the centre circle blue), with the wood grain highlighted ( echoing the tree grain in the poster itself). Made to order. 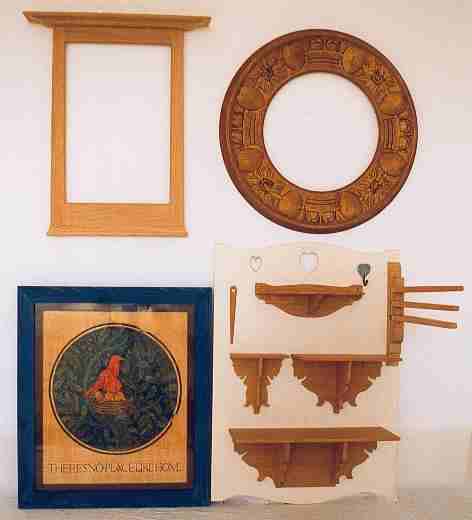 Shown below to give it scale with other Voysey pieces.